sailboat. : Cosmetics A La Carte Bare Blush Cream Blush in Lotus. Cosmetics A La Carte Bare Blush Cream Blush in Lotus. Okay, I think we all know I have a bit of a blush problem. We can brush over the fact that I most definitely don't need any more but was still inexplicably delighted when this dropped through my letterbox a week or so ago, right? Perfect. I was really looking forward to this arriving because I thought I'd absolutely adore it. It's everything I should love; a creamy blush in a beautiful spring appropriate colour that makes me want to put on a floral dress and spin around in a field of daisies, all encased in fancy packaging. And I like it, but I'm not sure that I'm head over heels for it. I opened the compact to see what looked like a fingerprint and I was a bit miffed. It was gifted for review and it might not even be a fingerprint so I just gave it a spritz to santise it just in case and after taking some pictures, I gave it a whirl. 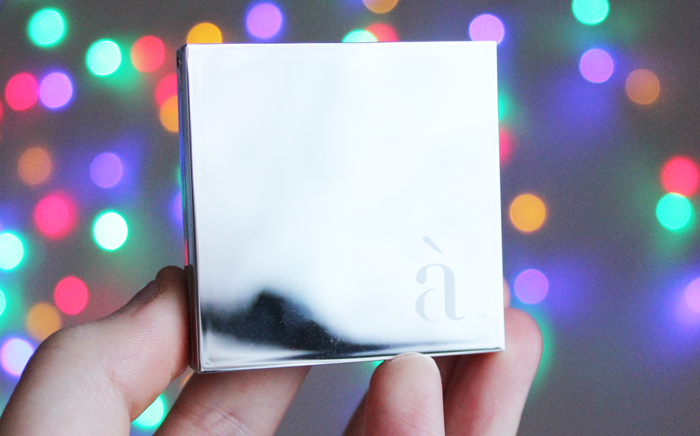 It blends beautifully, sits really nicely over foundation, gives a lovely, youthful, slightly dewy finish and the colour is really really pretty. Formula wise I'd liken it to Illamasqua in terms of how light it feels but it's no where near as dewy so it's not as likely to slip around on oilier skins. 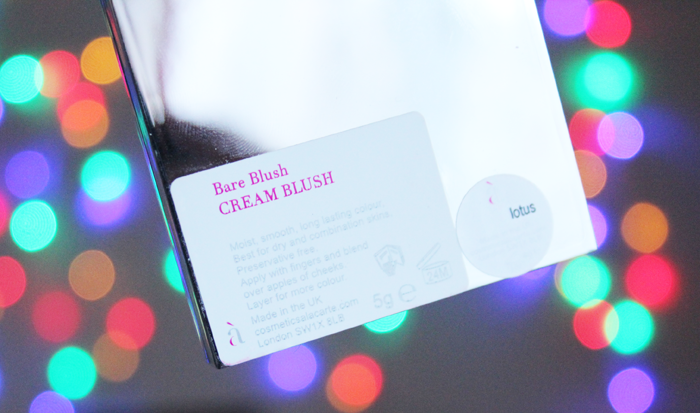 I also think it's pretty similar to the Topshop cream blushes, but without the powdery matte finish. In fact there's not really very much I don't like about it. If I were being really picky I'd say that the packaging doesn't feel particularly sturdy but it looks nice so it's not something that particularly bothers me. If I traveled regularly this probably wouldn't be one I'd take with me though. Having a little look around the website it says that they're hand-blended with the use of the finest ingredients, but the first ingredient in this is mineral oil. I'm not clued up on ingredients, but I know mineral oil doesn't have the best reputation. They do hand make all of their products in London, which is something upon consideration I'd probably be happy to pay a little extra for. I just think £25 may be a little bit on the expensive side. 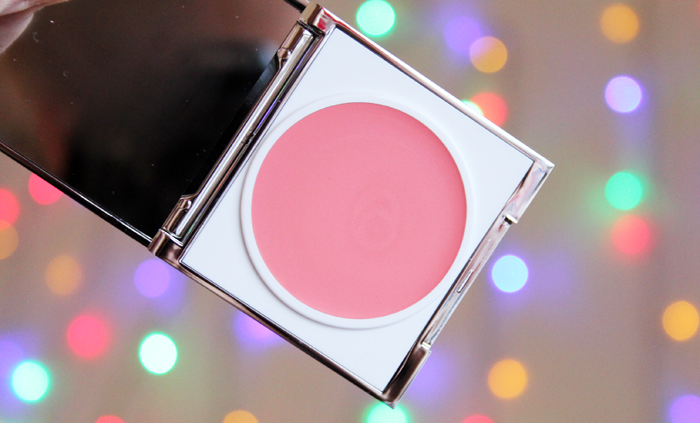 If you have £25 you want to splurge on a blush that's not from one of the typical high end make up brands we hear about all the time, this is most definitely one to consider. When I started writing this I thought I'd be finishing by saying I wouldn't buy another colour, but now I'm thinking that maybe I would if there was a shade that particularly called to me. It would most definitely be a treat though! 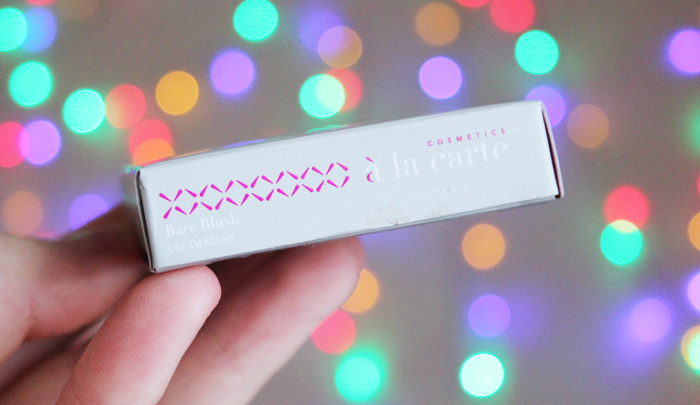 Have you tried anything from Cosmetics A La Carte before? Pretty shade but £25 is a bit steep, especially when other brands do equally as nice ones for less. 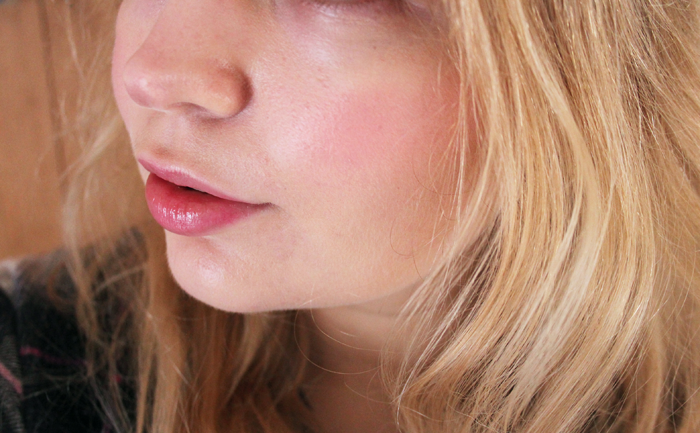 I keep meaning to go back to cream blushers- need to dig out my stippling brush I think! Eeep, I hope that wasn't a fingerprint! Anyway, it's a delicious shade. I would love to see a picture of your blusher collection Jennie, I bet it's epic ha! This cream blush looks so beautiful on you doll! It gave you such a nice flush with a gorgeous glow :) It is a bit on the dear side though! oh my got, it loooooks sooooo good on you! That blush looks such a lovely shade of pink, looks a great shade on too, nice and subtle. I use a powder foundation and I find cream blushes just don't sink in like they would with a liquid foundation sadly! I was going to write that I'd never pay £25 for a blush but I just bought one of the hourglass one! Pretty colour on you! This gives you such a healthy, lovely sheen! I hadn't heard of the brand before, but it sure looks great!